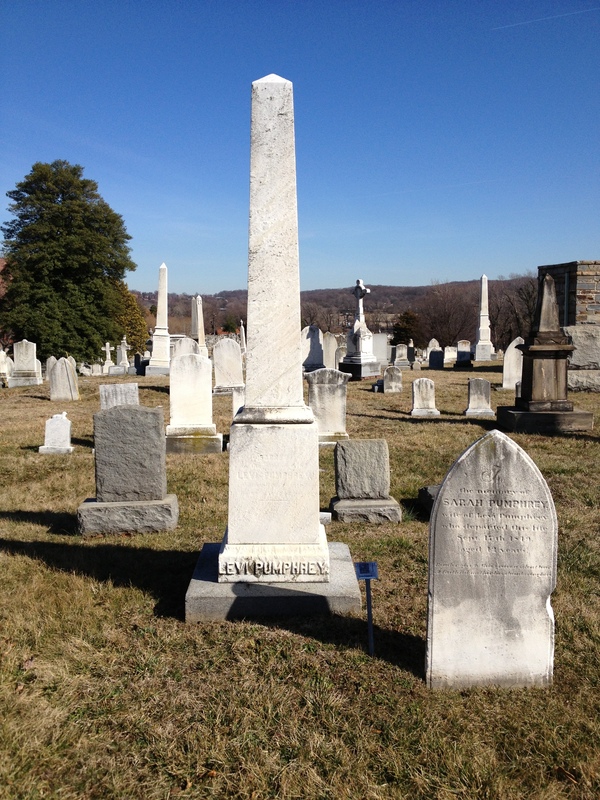 James W. Pumphrey is buried with his father Levi, in D.C.’s Congressional Cemetery. Congressional Cemetery has a wonderful news article about James Pumphrey trying to cheat the gas company in 1883 (bottom of page 5). Wow! I wonder if I could do that with the electric meter. We live in Florida, and the central air really runs up our electric bill.